This 3 Ingredient Peppermint Sugar Scrub Recipe is an easy gift you can give to yourself or to others this holiday season. Plus, it smells amazing! We’re in the thick of the holiday season and I don’t know about you, but I’m doing everything I can to just make it through the day. Party prep, decorating, creating a holiday menu, finishing up your Christmas shopping, the list just goes on and on. It doesn’t seem like there are enough hours in the day to get everything done during the holidays that you want to do, let alone everything that you need to do. Small (albeit necessary) tasks get put on the back burner while at the same time bigger, more important things like romance often get put on the back burner as well. This year for Christmas, I’ve resolved to give my husband my presence versus presents. My husband’s never been a gift person anyway so our time spent together during the holidays (and every day) will mean more to him than a pile of things that collect dust and clutter up our home. But getting ready for romance also means I’ll need to get to those smaller tasks, too. Little things like that might seem insignificant but the extra effort to say that you care and you’re thinking of the other person too. Those things like shaving your legs and exfoliating are just the little things you can do to say you care. You want to look and feel your best at any time of year but especially during the winter when the dry air zaps the moisture from your skin. When I want to ensure I feel confident and look my best during the holidays, I like to make up some homemade sugar scrubs. How do you make exfoliating scrub? Making an exfoliating scrub combines sugar or salt and oils. Which is better salt or sugar scrub? Sugar is better for scrubs than salt because it’s finer and not as irritating to skin. What is the best oil to use in a sugar scrub? The best oil to use in a sugar scrub is coconut oil. You can also use almond oil or grapeseed oil, but coconut is the least expensive and my personal favorite. 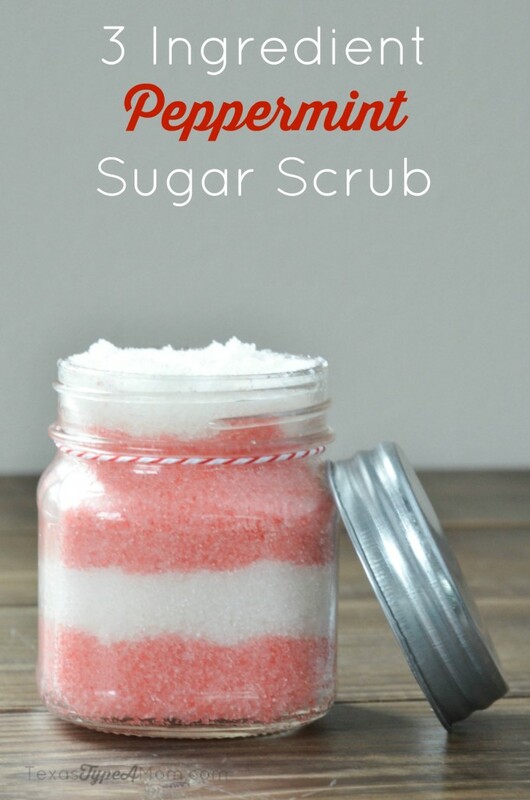 What is the best sugar to use for a scrub? You can use any type of sugar for a scrub. I use brown and white sugar for body scrubs and raw sugar for scrubbing my feet. Add peppermint oil and stir. Split sugar mix into two batches and add red food coloring to half of it. In a small wide-mouth jar (about 8 oz. 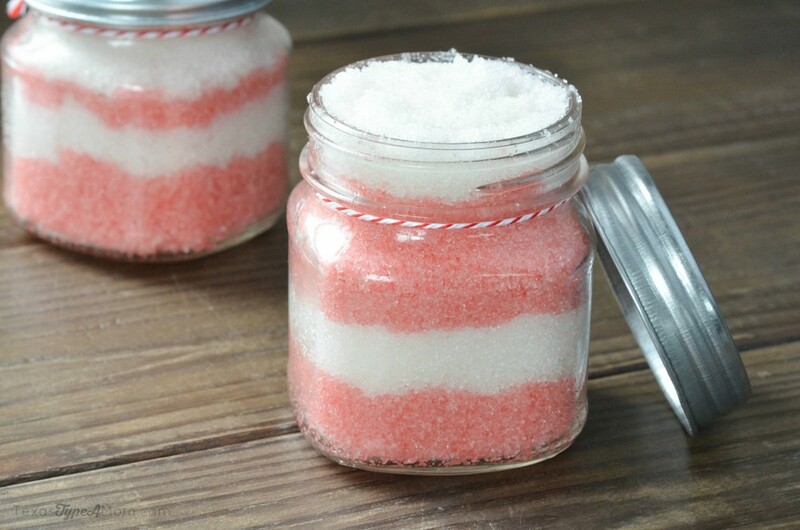 ), alternate equal layers of the red and white sugar scrub. Finish your jar off with a little twine, either just knotted around the lid or with a fun bow! Don’t keep these peppermint sugar scrubs all to yourself. These are an inexpensive and thoughtful present to give all of your girlfriends this Christmas! How do you make sugar scrubs for gifts? Making sugar scrubs for gifts is easy! Just add on some decorative twine or ribbon to your jar. 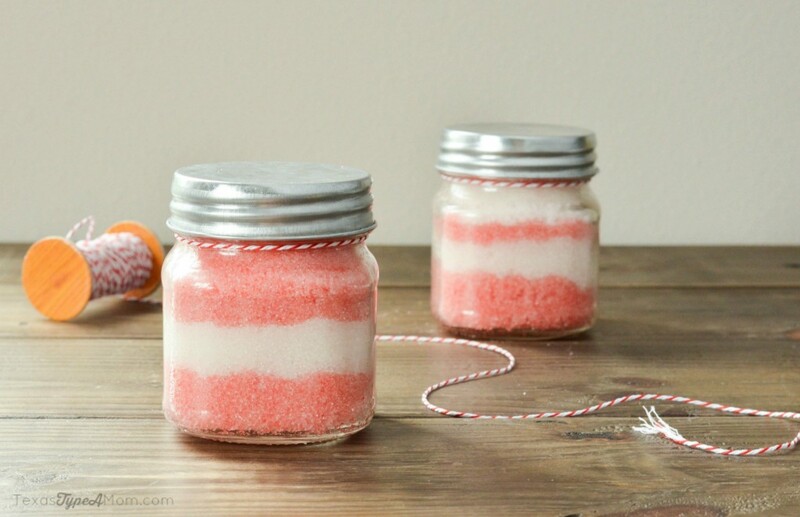 Pin this peppermint sugar scrub recipe so you can find it later!